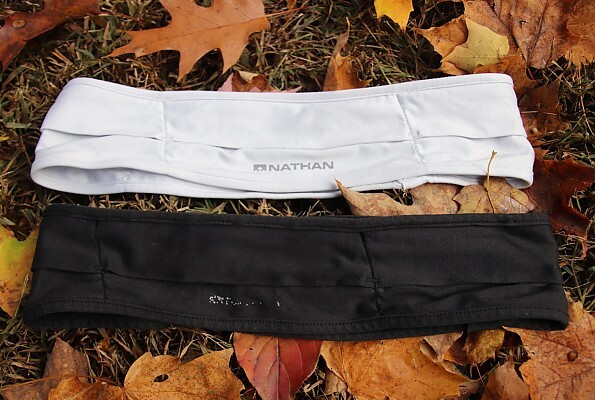 After hundreds of miles of use, the simple, stretchy Hipster waist belt has earned its spot among my essential running gear. Basically four pockets, it regularly carries my iPhone 7 and an EpiPen, as well as pepper spray and gels as needed (keep those last two separate). Most important, it is comfortable and stays in place without any chafing. I’ve used two Hipsters over the past four years for several hundred runs and many more miles. Both have held up well and show little sign of wear. 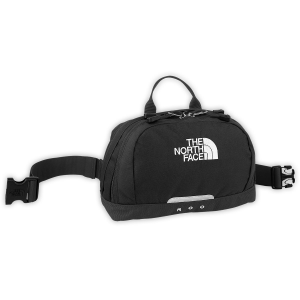 I’d recommend it to any road or trail runner looking for extra storage on short to medium runs, when you don’t need to carry hydration and don’t need the capacity of a running pack. 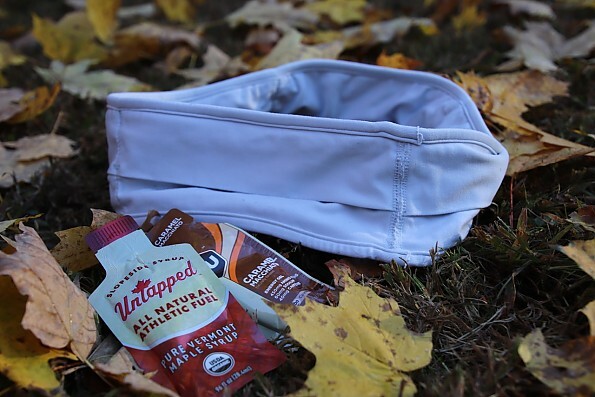 The Hipster’s design is simple and it works, making it even easier to get out the door for a run. 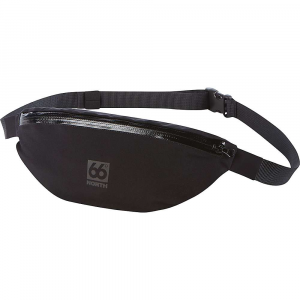 The Hipster is a soft, stretchy waist belt made from 70 percent nylon and 30 percent polyester material. It is basically four pockets you wear. Mine weighs 2.6 ounces (76 g). It comes in five sizes, based on your waistline, ranging from 26 to 40 inches. 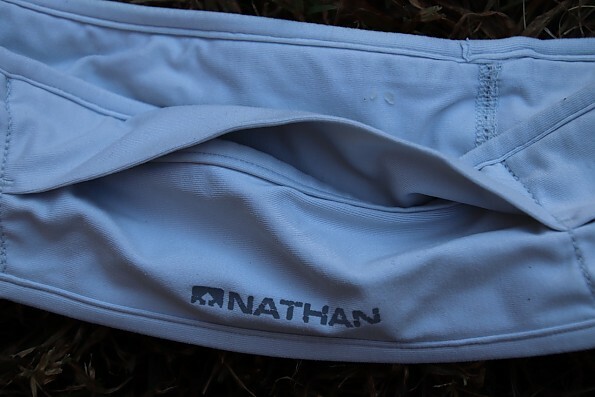 Nathan recommends sizing based on where you’ll wear your Hipster: waist (across the widest hip area), high waist, or natural waist (narrowest area). I have two Hipsters in medium, and I wear them on my waist to high waist. If you’re between sizes, I’d recommend sizing down. To put it on, step into it and pull it up around your waist where you find comfortable. There are no adjustments to tighten or loosen, which is what makes it so stable and secure. 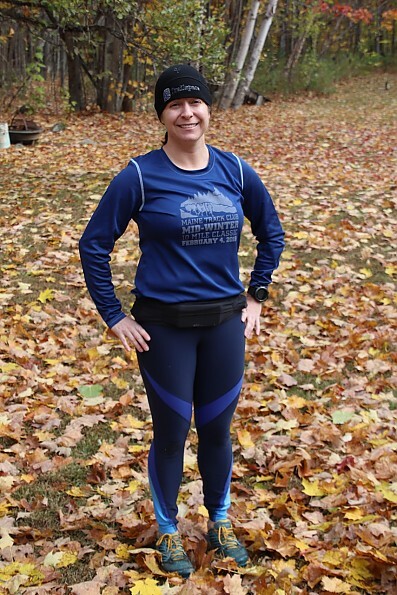 I wear mine year-round with shorts, running skirts, and tights and have had no issue layering it over any of those clothing’s waistbands. It stays in place over miles of running. Be aware, there is an up and down orientation, so look at the logo in front to orient you. 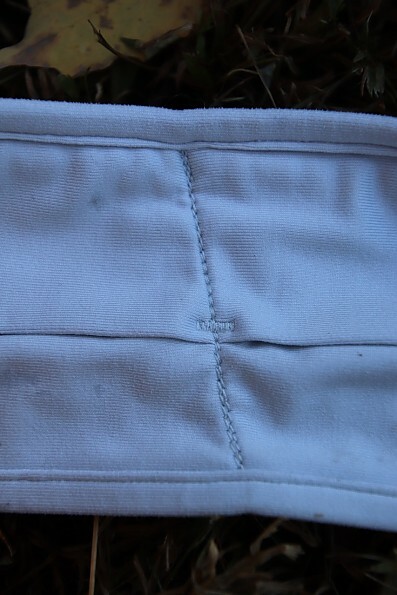 The pocket’s top flap should overlap the lower flap. Storage is the entire point of the Hipster. 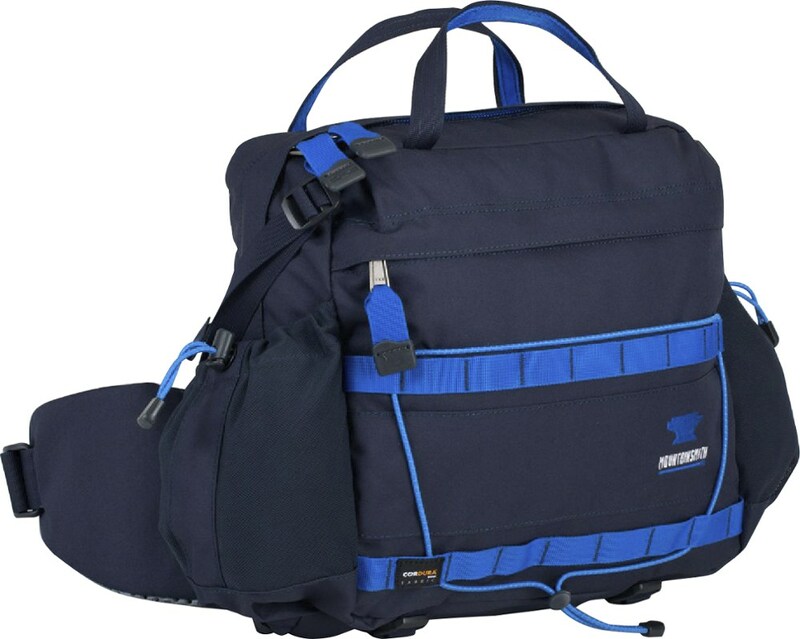 It is made up entirely of four individual, stretchy, low-profile pockets. When on, the material will stretch a few inches to hold everything snugly in place. The most important question is, “will it fit my stuff?” So, here’s how I use mine. Front Pocket: I put my iPhone 7 in the front for easy access if I want to take pictures. At this time Nathan says the Hipster holds up to an iPhone 8/8 Plus. Side Pockets: In the two side pockets I might carry a small pepper spray in one and a few gels or other fuel in the other. Occasionally I’ll carry a key or credit card (depending on errands). Back Pocket: In warmer weather, I store an EpiPen in the back pocket. In winter I’ll shove liner gloves or a beanie back there once I’ve warmed up. EpiPen Sidenote: A main reason I like the Hipster is it makes it easy to carry an EpiPen. Neither an EpiPen nor an iPhone fits into some of my other waist belts, making the Hipster more convenient and essential. 1) SpiBelt (holds EpiPen and iPhone only), 2) Hipsters (hold EpiPen, iPhone, and more), 3) various Ultimate Direction waist belts (only the left one's pocket can hold an EpiPen and/or iPhone, so they're used rarely now, despite being good products). SpiBelt Sidenote: I originally bought a SpiBelt to hold my EpiPen, but even though it fits perfectly, I rarely use it. That’s not the SpiBelt’s fault; it’s a good, secure, bounce-free option. However, I figure if I ever have to use my EpiPen, I probably also need to call for help, hence needing room for a phone. I can just get my iPhone 7 and EpiPen in my Original SpiBelt. It’s secure, but with no room to spare, it feels inconvenient if I want to access my phone on the run. So, while the SpiBelt works well for stowing emergency items when I don't need anything else, I stick with the Hipster out of convenience and habit. 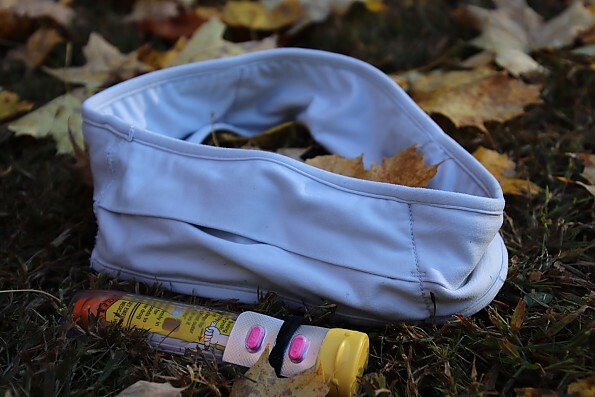 SpiBelt makes numerous models though, so check them out if you or your child need to carry an EpiPen, inhaler, insulin pump, or other medical supply. No Hydration: The Hipster has no space for a water bottle. 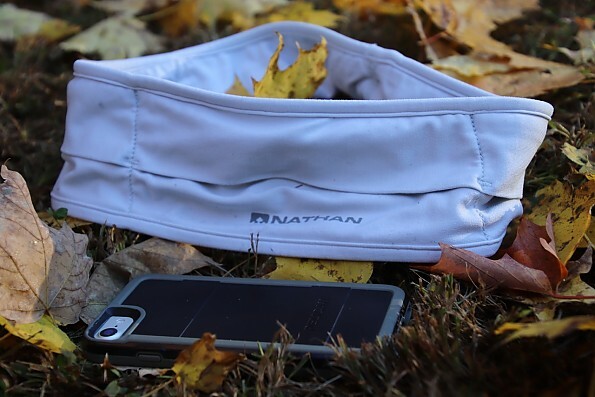 If you want some, you’ll need a handheld or to switch to a running pack. 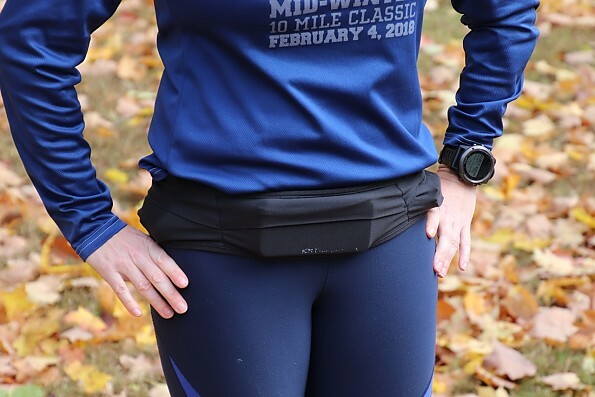 Ultimate Direction: It's worth noting that Ultimate Direction, which makes my running packs, recently came out with a similar Comfort Belt ($35) and Utility Belt ($40). 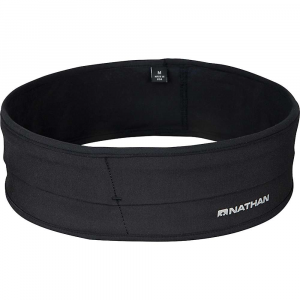 Key differences are that the Comfort Belt has 360-degree reflectivity, a key clip, and landscape patterns. 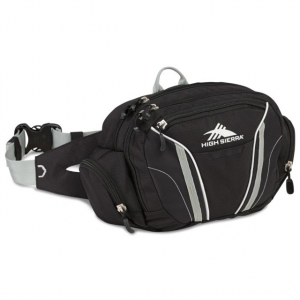 The Utility Belt has two small, secure pockets plus three large unsecured pockets, and holds a 500ml soft flask and trekking poles. Now that you put your stuff away—important stuff like a phone, keys, an ID, medicine, etc.,—you want to make sure it stays with you for your entire run. The Hipster’s four pockets have overlapping flaps to keep things in. It’s simple. No zipper or snaps. Over several hundred runs and many more miles I have yet to lose anything while wearing a Hipster (knock on wood). The Hipster’s capacity is flexible—literally and figuratively. The flatter or more squishable the object, the more secure. There is a limit to stuffing though. Too much bulk and objects can feel awkward on your body and won't be secure if the flaps don’t close fully. If you have that much to carry, consider a running pack or vest. I have had my phone fall out of the front a few times, but that was mainly due to user error. I either didn’t have the pocket's flaps overlapping after taking the phone in and out while running, or I had put the band on upside down, in which case the top flap doesn't overlap. I’ll usually notice if something isn’t secure while running due to some bounce, and will stop to fix it. I’ve never had anything come out of the other pockets. 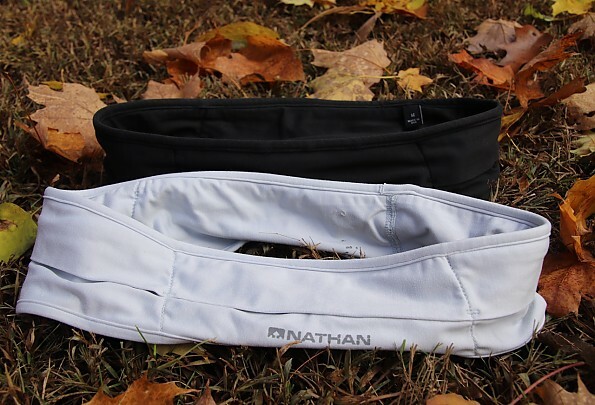 If you’re still worried about losing things, check out Nathan's Zipster or Zipster Lite, which have two zippered, weather-resistant pockets each. 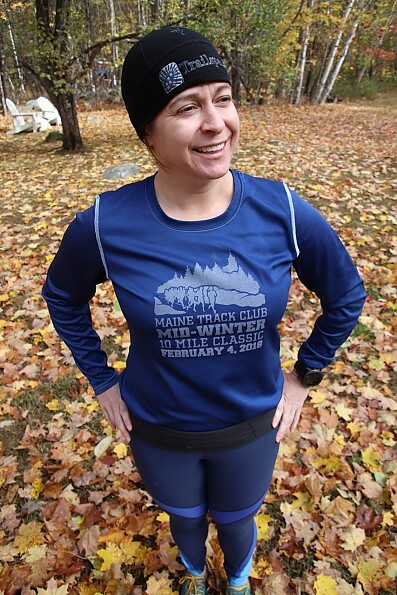 I’ve worn my Hipsters with shorts, running skirts, tights—and all layered fine. Just pull it on and forget it. If it’s sized right there shouldn’t be any drifting or chafing. And if you’ve packed well, there should be little to no bounce. If I travel, I’ll bring this and an Ultimate Direction bottle. That combo allows for a lot of options in a small travel package. 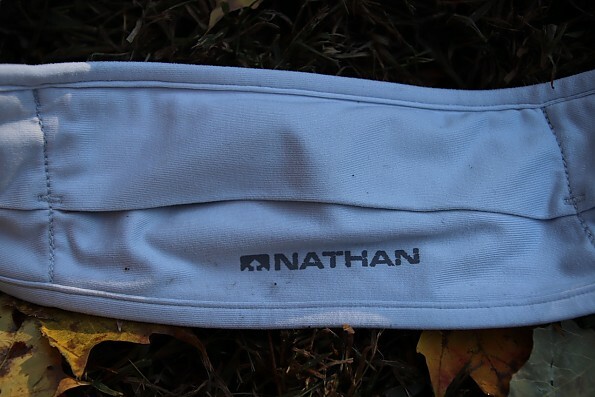 If you want to wear a Hipster for a race, it will not fit well if you use a race belt for your bib. You could try pinning a bib to its front, but I haven’t tried. The only race I wear the Hipster in is one that has repeating 4.2-mile trail loops. It allows me to carry my EpiPen and some food with me (a gel or sport waffle, Fig Newman’s or pretzels) while using a handheld bottle. This setup makes it super easy to switch out trash and fuel on any lap, but it’s a pretty specific use. I was given my first Hipster (black) more than four years ago by a Nathan PR rep while at the Outdoor Retailer tradeshow. Based on its performance and frequent sweaty use, I bought a second one (white/light grey) two years later. I alternate which I use based on which is clean, what color shorts I’m wearing (a wide, potentially bulky waistband can be noticeable), and, most important, which one I can find quickest to get out the door. I haven’t babied mine or treated them special. I figure I’ve used them on hundreds of runs over even more miles. Both are in good working order. The seams are all intact with no fraying. 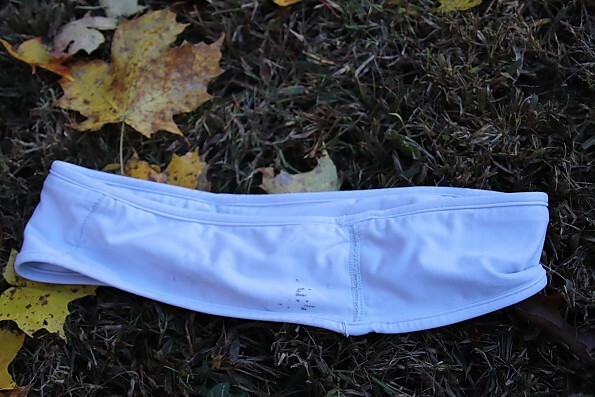 Since this sits around your waist during sweaty runs, it will get gross, particularly in summer. Or maybe that’s just me. Throw it in the washer when it’s sweaty. Hang to dry. Wear the next day. Or just leave it to dry for the next day. The synthetic material is a heavier weight, but should be dry by your next day’s run. A bulky, lumpy tube of stuff around my waist is not something to which I try to call attention. My Hipsters are black and a white/silver grey to blend in with whatever bottoms I’m wearing. Nathan has added colors though, so you can pick a favorite. My 10-year-old daughter recently told me it looks weird with my phone in the front. She may be right, but I really don’t care. It’s a super simple utilitarian piece and I appreciate it. I have several running packs and waist belts. Before using the Hipster, I frankly didn’t see the need for it and I likely wouldn’t have bought it for $25 retail. But then I ended up using it all the time. Due to its packability and usefulness, it comes along whenever I travel, making it easy to go out on a short or medium run in any location. Add in the need to carry an EpiPen and it became essential. You can often find them for less, such as the prior year’s colors at half price. I’d buy one again for $25 if I needed it. It’s ridiculous that I have this much to say about a stretchy band of fabric. The Hipster is a surprisingly important piece of running gear for me though. It has replaced my other running waist belts much of the time, due to having more flexible storage options and fitting an EpiPen (essential) and/or an iPhone (not essential, but convenient). When I need to carry more, I use a running pack. 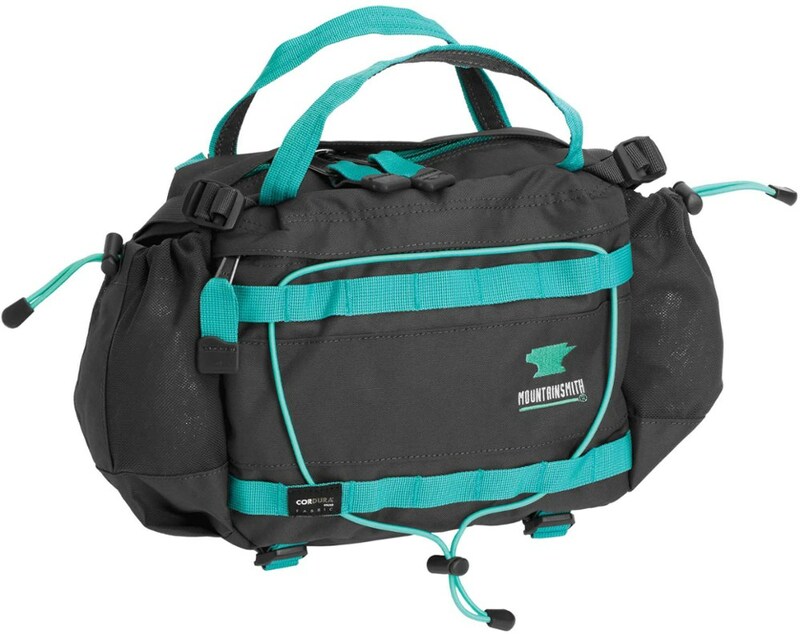 I recommend the Hipster to trail and road runners in need of storage on shorter to medium runs. 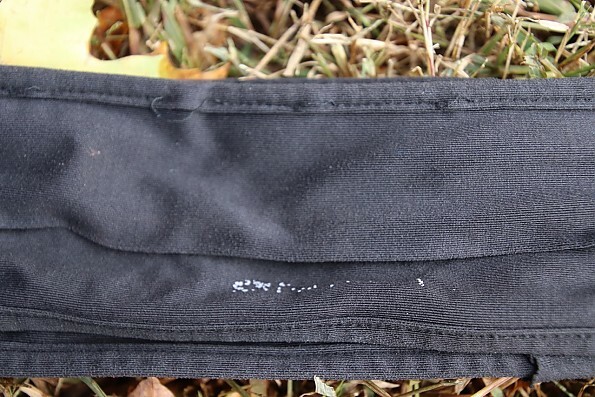 It accommodates the typical objects a runner might carry, such as a phone, pepper spray, thin wallet, keys, food, EpiPen, liner gloves, and so on—though not all at once. 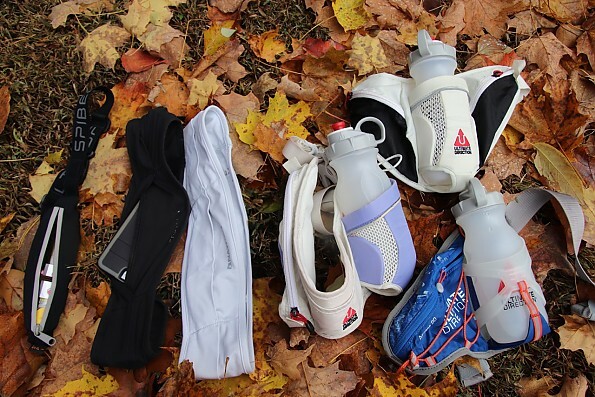 If you need more storage or to carry hydration, you’ll need a pack or handheld bottle. Otherwise, the Hipster is simple, comfortable, and secure. If I lost mine I would buy another. The Hipster’s simplicity and utilitarianism make it convenient and useful. 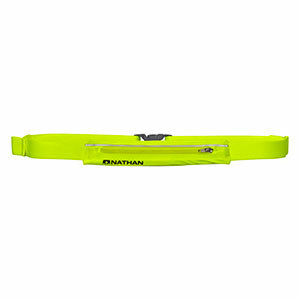 Check out Nathan’s Zipster or Zipster Lite if you want some added security. I’ve had one Hipster for more than four years and a second one for more than two years. 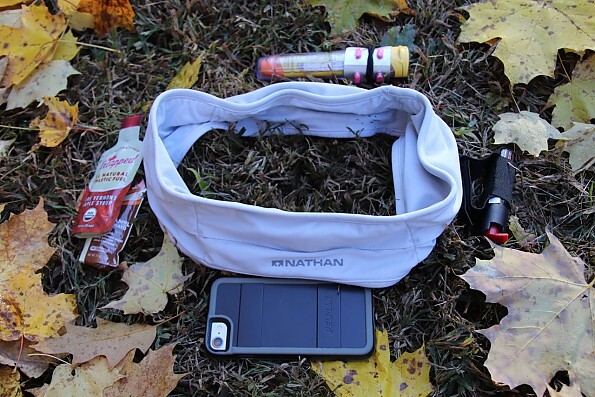 I use both year-round in northern New England while trail and road running when I don’t need the capacity of a running vest or pack. Since they’re so adaptable and useful for their size, I pack one whenever I travel. They’ve been used on roads and trails around the country. Mine have hundreds of runs and many more miles of use on them so far.